It works and updated… after reboot … if I do – yum update — again problem still exist. I see a copy of epel-testing.repo in the directory… how can I be sure it’s reading the correct epel.repo ? Should I keep the epel.repo disabled ? Can you ping the epel mirror? As per your instruction, I commented out the metalink and use the baseurl … & ran --> yum update —> it works ok. No error message. then I ran —> yum clean all & sudo rm -rf /var/cache/yum & ran —> yum update again . Now it seems to work. Although I have no update at this time but no ERROR Message. Thanks a lot for the help, it seems for now … it’s working. Should I revert the kernel to older to fix the other DPI issure. You’re welcome. I am happy that it works! Should I revert the kernel to older to fix the other DPI issure. Thanks. Maybe I’d wait a bit to update to 7.5 Testing…a bit busy on other work at the moment. The install/update may have failed due to metadata caching issues. Please clean the cache by clicking the button below and retry the install/update operation. We were working on mirrors for the final release. Everything should be fixes within few hours as soon as all mirror are in sync. As of a few moment ago, Command line yum update is not working yet. Unfortunately I’m still getting the same error. gui update fails, yum update fails. 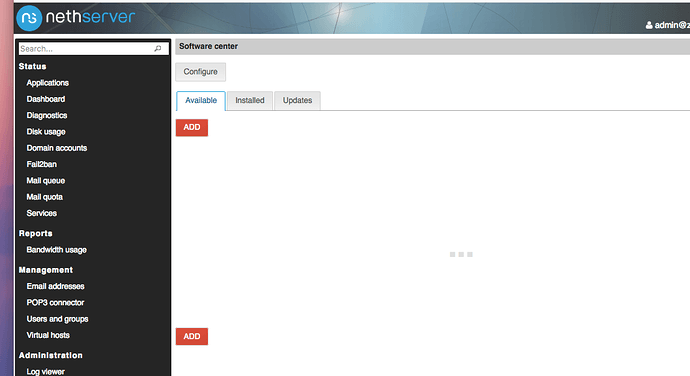 If I comment out metalink and use base url my gui shows the update to 7.6. Would there be any harm leaving it like that and doing the update? will update write a new epel.repo hopefully fixing the problem? I took a snapshot of my nethserver VM and tried to update to 7.6. There were a lot of errors and it got stuck in an update loop. I ended up restoring the snapshot. I also noticed an email domain in my allow email settings was marked as spam. Seems like my Nethserver install is committing suicide. I have had a couple unexpected shutdowns on the vm due to a defective UPS over the past 6 months so it’s possible something somewhere is corrupt. Looks like a fresh install is in my future. “metalink=https://mirrors.fedoraproject.org/metalink?repo=testing-epel7&arch=$basearch” line allows yum update to run. I don’t know much about repos but is it possible a repo either has an expired certificate or worse has been hijacked?